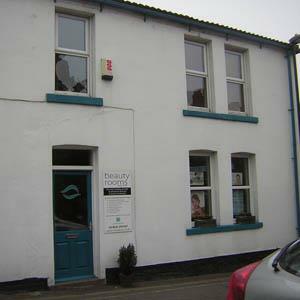 Mint @ The Beauty Rooms01924 291457work ShopPart of one of the largest & most successful Nail & Beauty Groups in the UK. The Beauty Rooms in Wakefield was the first branch of the Mint Nail & Beauty Group with the Head Office for the group located at the Wakefield branch. Mint @The Beauty Rooms – is the best of both worlds in one. The Beauty Rooms offers more advanced treatments than other Mint Group Salons such as laser hair removal & advanced face & body treatments, but because it is part of the Mint group the therapists have the benefits of the expertise in nail treatments which you would expect from Mint. Set in a large detached building The Beauty Rooms has been beautifully converted into a modern and comfortable beauty salon. There are 6 treatment rooms on the first floor and a dedicated pedicure area and separate nail treatment room and large reception and retail area on the ground floor. The Beauty Rooms prides itself on its professional and well trained staff but equally on the friendly and relaxed environment which has made it so successful for so long. Up along with exclusive treatments. Part of one of the largest & most successful Nail & Beauty Groups in the UK. The Beauty Rooms in Wakefield was the first branch of the Mint Nail & Beauty Group with the Head Office for the group located at the Wakefield branch. Town Centre, Gills Yard is situated between Rishworth St & Northgate. Parking with charge available nearby.